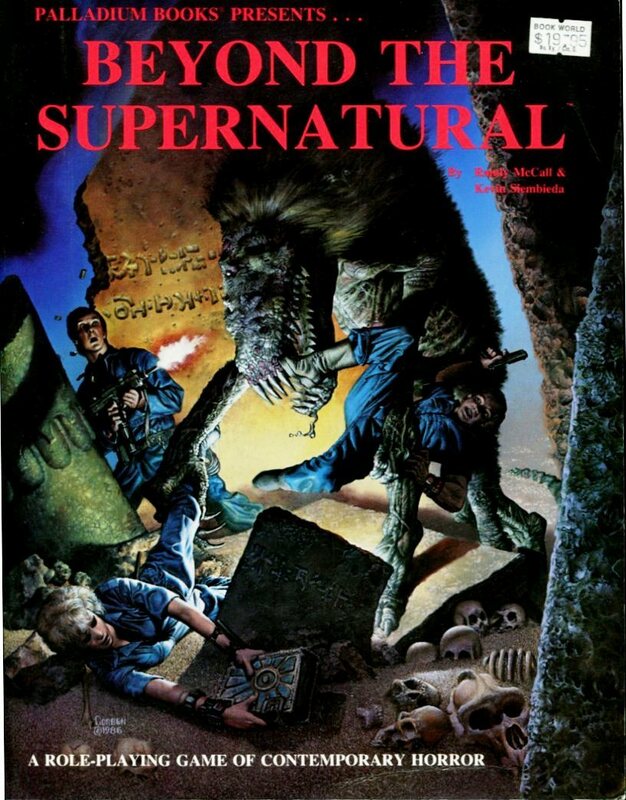 Does Anyone out There Still Play Beyond the Supernatural? 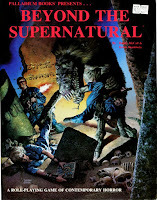 In the coming days, we'll be indulging a bit more in some nostalgia involving the scary side of role playing, including Palladium's horror-themed RPG, Beyond the Supernatural ("BTS"), first edition. To get everyone primed for these meandering jaunts down memory lane, I thought I'd re-post my last BTS-specific creation: the character sheet my game group's been using since 2009 or so. Which, unfortunately, means we haven't used it much at all - I can probably count on one hand the number of BTS games I've played in that time. TriTac's Bureau 13 just had more traction with my group, so BTS was always sitting on the sidelines, watching and hoping to get picked first next time. That's really a pity, because BTS is a really fun game. It's not perfect, of course, but there's really nothing like sending in your proto-super hero to smash some nasties in the face (be it literally or figuratively). We'll cover that ground a little more in the aforementioned posts. I don't play BtS anymore, but I still have an active game of Palladium Fantasy 1st Edition. But I'd be totally down for playing a BtS game online. Never got Palladium Fantasy off the ground with my group, interestingly enough. I guess everybody was too connected to their D&D characters to make the switch. I don't play BTS, but like you it's been on my mind a lot lately...and by "lately" I mean the last year or so. 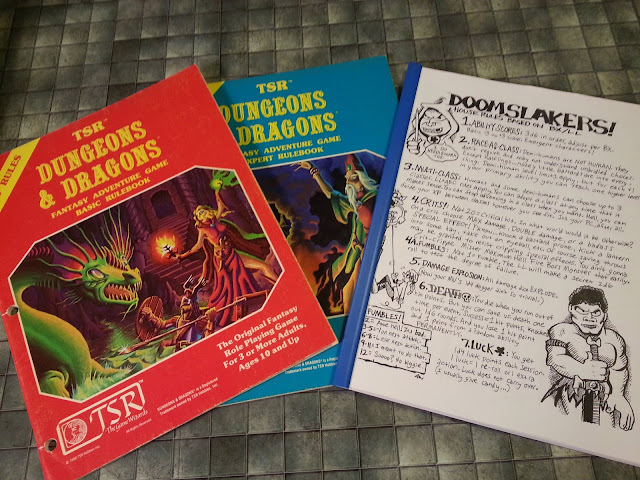 I picked up a PDF of the 1E from DriveThruRPG a while back and I'm looking at adapting some of its concepts as a little side project. Lots of neat stuff there. Looking forward to more of your "jaunts." The map you posted the other day was great! "Lots of neat stuff," indeed. Will we be seeing your side project someday? And glad you're enjoying the posts - there are more jaunts imminent! Maybe. Not for a while, though. AR is base of 4, modified by PE bonus and skill bonuses to AR. When a character is hit, damage up to AR is taken from SDC, any excess from Hit Points. If wearing armor, dmg up to armor's AR is taken from its SDC, any excess is passed on to wearer. Works for monsters too. I run a lot of games of BtS some time ago in the 90's-00's but after that I changed my gaming group and the new one is more interested old style fantasy so I have my BtS and Talsorian Cyberpunk's book taking dust in the self. That stinks - but hope springs eternal! Maybe, some day, they'll get tired of fantasy and desire a break from it. And when that day comes, you'll be prepared! 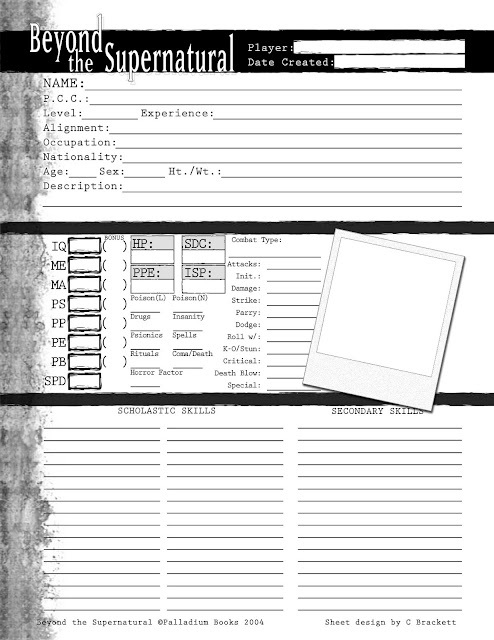 I'd love to a back side of this for psionics, weapons, gear and the like. btw, have you see the BTS fan site houseofbts.net ?